Individual Counselling Melbourne – It is natural sometimes to go through a difficult phase of life and deal with stress, anxiety, depression or trauma. Individual Counselling Melbourne is designed for people seeking help of skilled and experienced professionals to cope through a difficult phase of their life. Stress, anxiety, depression, dealing with difficult relationships, being stressed because of a job could be emotionally overwhelming. However, a little help from friends, family and professionals can improve your emotional health significantly. It is not necessary to wait for a serious diagnosis to seek professional help, if you feel that your emotional wellbeing is compromised due to any reason, you should seek professional help. Your health physical and mental should be your first priority but due to our busy routines we sometimes tend to look over our health. It is essential to build healthy coping mechanisms and adapt to a health environment in order to deal with difficult situations effectively. It is important to have a strong support system and to be surrounded by people who can help you through difficult situations or problems in life. However, sometimes having a support system does not help in dealing with all problems. If you feel like you have been overwhelmed psychologically and need help you can contact us and seek help of our expert counselors. Our motto is to provide you with affordable and effective therapy to improve your lifestyle by improving your emotional wellbeing. 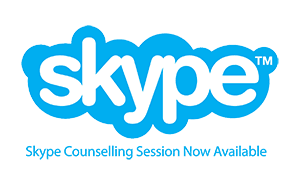 Please use the online contact form below to get in touch with us regarding booking enquiries for Individual Counselling in Melbourne.